The kitchen sees a lot of action. From preparing meals to cooking to sharing time with friends and family and everything in between, the kitchen plays host to a wide variety of activities. And some of these activities can be quite messy. That’s why backsplash tile installation in kitchens has become such a popular feature all around the world. 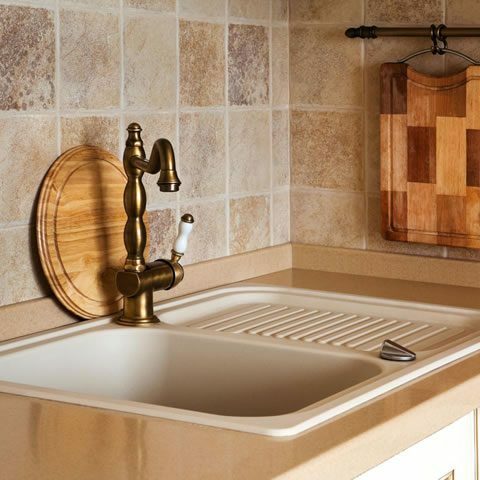 In order to handle all the sprays, spills, and thrills that are common around the kitchen sink, a ceramic tile backsplash works to make messes less of a headache. There are numerous benefits that come along with backsplash tile installation in your kitchen, and we’d like to share five of the most important ones with you today! Easy maintenance and cleaning – Ceramic tiles are extremely sleek and slippery. Accidentally spilling or splashing a ceramic tile backsplash with tomato sauce, for example, will be an easy cleanup job. All you need is some paper towels and warm water. 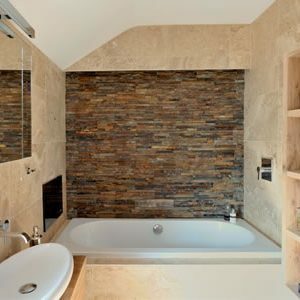 Easily replaced – At Jordan’s Tile and Stone, we always recommend that you let experienced professionals handle your tile installation needs but, in fact, ceramic tile is fairly easy to install so can be replaced at any time without a fuss. Increases kitchen value – Backsplash tiles installation makes your kitchen look much better. It significantly increases the overall value of the kitchen itself. By investing a small amount of money into installing a new backsplash in your kitchen, you could easily see a substantial financial return. Environmentally conscious – Ceramic tile is made of only natural materials and is easy to recycle and reuse. The tiles have a very small impact on the natural environment. Unlimited style and design options – Ceramic tile installation is possible in many different styles, shapes, and sizes; giving you more design choices and creative freedom when designing your kitchen backsplash. And, because tile is easy to uninstall and reinstall, you can experiment with a multitude of options. While we could go on and on, these are the top five benefits of backsplash tiles installation in your home. Keep them in mind when imagining your new kitchen!